National property consultancy Carter Jonas has launched a new service for house buyers, house builders and developers in Yorkshire with the launch of a dedicated New Homes division. Former Knight Frank partner Anne Haggas has been appointed to manage the new service which offers developers a tailor-made new homes marketing service from conception, planning and design through marketing and sales to final completion. Anne, 50, brings more than 12 years’ experience in a similar role at Knight Frank where she was partner responsible for Northern Residential Development covering the North of England. In her new role at Carter Jonas she will be responsible for managing new developments, working closely with partners at Carter Jonas’ Yorkshire offices in Leeds, Harrogate, York and Boroughbridge to complement existing services. Educated at Bradford Girls Grammar School, Anne worked at Dacre, Son and Hartley, as well as spending a year with Carter Jonas, before joining Knight Frank in 2000. She was widely credited with helping to trigger regeneration projects along the M62 corridor, before being appointed head of new home sales for Knight Frank’s Northern division. She was actively involved in a number of high profile schemes in Leeds including Clarence Dock and Brewery Wharf and was responsible for achieving investment sales in excess of £170m, working with major clients including Lendlease, Rushbond PLC, Taylor Woodrow, Shepherd Homes, Deutsche pfandbriefbank, Newmason Properties and City Lofts. Carter Jonas already has a very successful new homes division operating in the South but given the favourable market conditions in Yorkshire, Carter Jonas partner Tony Wright believes the time is right to extend the service to the North. Tony Wright, head of residential in Harrogate said. “This is a significant appointment. 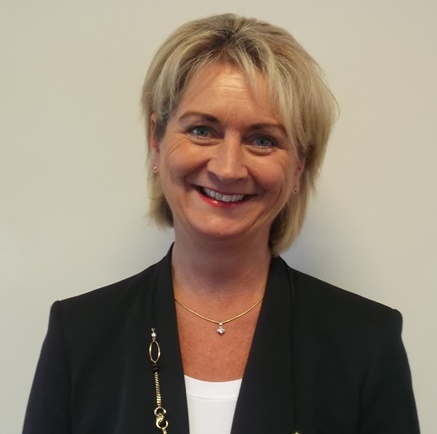 Anne is a major player in the residential development property market and her appointment means that Carter Jonas can now offer services right across all aspects of the property market – residential, new homes, commercial, rural, planning and development, valuations and building surveying. “Our planning and development teams have the skills to maximise the value of land or buildings with development potential.